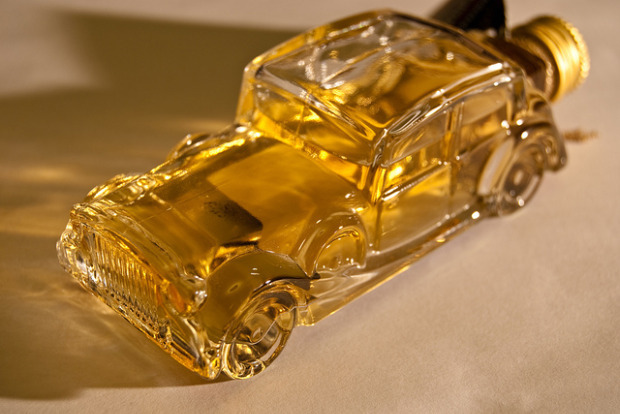 Researchers in Edinburgh have created a biofuel out of the by-products of whisky that is so powerful it can be used in an unmodified car. The biobutanol, a next-gen biofuel, is made using the pot ale and the draff–that’s the liquid found at the bottom of whisky distilling containers, or stills, and the used grain. The $404,000 project has proved so successful that the Biofuel Research Centre at Edinburgh Napier University has applied for a patent. The whisky biofuel is yet another innovation coming out of Scotland at the moment. It’s powering ahead on the tidal energy front, as we saw yesterday, and there’s a whisky-fueled power station in the pipeline. Drinks firm Diageo allowed the team to distill by-products from its Glenkinchie Distillery, to the southeast of Edinburgh. on this (forward to 1 min 16 sec) should the biobutanol be a success.